It's the last week of breast cancer awareness month, and there’s nothing we ever want in life than keeping ourselves in the pinkest of health whatever our age and life stage is. And because no one is exempted from this disease, the more we shouldn’t brush off the importance of awareness and prevention. 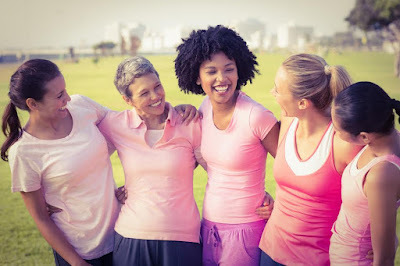 So I'm sharing with you five tips on how we, women, can enhance our health and wellness and see how soon you can check off all these smart reproductive health guidelines from Jeunesse Anion Sanitary Napkins and Liners’ and Dr. Faith Suluen, OB-Gyn. 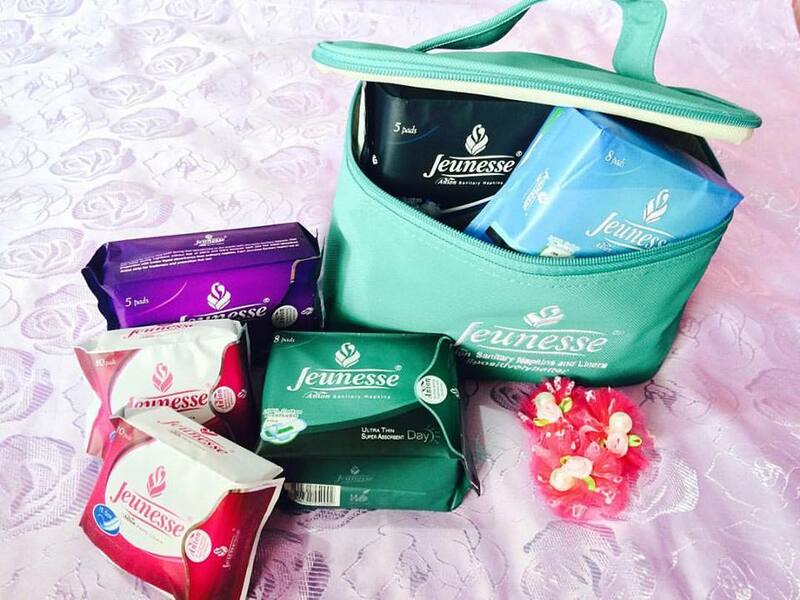 Jeunesse Anion Sanitary Napkin and Liners works wonder for me. Can't wait to share with you all my review soon! Although there’s no direct link that says diet is the culprit for breast cancer, staying with normal weight range, having regular physical activity, consumption of fruits and vegetables, as well as low saturated fat intake will promote general wellbeing and decrease the risk. “Since most cancers are inflammatory in nature, include omega-9 rich foods that can be found in olive oil, nuts, and fruits like avocado. The nutrients and phytochemicals which are abundant in fresh produce also help combat disease and even play a role in prevention,” adds Cheshire. Ladies, time to step up your annual health check routine! Don’t scrimp nor make your breast ultrasound (if you’re under 40) or mammogram (for 40 years old and above) check up your least of priority, which are ideally conducted annually. As for the self-breast examination, which should be religiously practiced 7 days after your monthly period. Here’s a simple technique while in the shower: Move around your fingers to the entire breast in a circular pattern moving from the outside to the center and check the entire breast and armpit area. Be wary of any lump, thickening, and hardened knot. To ensure the orderly and peaceful observance of ‘Undas’ or All Saints’ Day on November 1 and 2, key offices of the city government, together with the Makati Police Department, are all set to implement measures. As is customary during holidays, the number coding scheme will be suspended in Makati on October 31 and November 1. Four public assistance stations set up in strategic areas in the vicinity of Manila South Cemetery will be manned by personnel of the Makati Action Center, Makati Health Department, and Makati Disaster Risk Reduction and Management Office. The stations will provide wheelchairs for senior citizens and free blood pressure monitoring, and medical emergency teams will also be on hand to provide assistance if needed. These will be positioned in the following areas: between Makati Catholic Cemetery and Manila South Cemetery; South Avenue corner Kalayaan Avenue; Vito Cruz corner South Avenue, in front of South Cemetery; and Metropolitan Avenue corner South Avenue. For security and order, the Makati police will screen visitors for prohibited items and implement measures to regulate vendors and parking inside or within the vicinity of Manila South Cemetery. Visitors are also advised to take care of small children and secure their belongings while inside the cemetery. The police will confiscate prohibited items inside the cemetery, which include firearms, bladed weapons, liquors, loudspeakers and amplifiers. Meanwhile, designated areas for selling food and drinks are only allowed outside the cemetery. Cars and motorcycle parking will be available along Ayala Avenue Extension and Metropolitan Avenue. Cleanliness in the area will be maintained by personnel from the city Department of Environmental Services through continuous clean-up operations. Starting at midnight on October 31, the city government will implement a traffic rerouting plan to ease the flow of traffic within the vicinity of Manila South Cemetery, which will remain in effect until midnight of November 2. The following streets will be closed to vehicular traffic: Kalayaan Avenue – from Zapote Street to N. Garcia St.; South Avenue – from Metropolitan to JP Rizal; Vito Cruz – from South Avenue to Zapote St.; and Pililia St. – from JP Rizal to Kalayaan Avenue. To be opened to two-way traffic are J.P. Rizal – from Pasong Tirad to Makati Avenue; and Kalayaan Avenue – from Pasong Tirad to Zapote St. One-way traffic will be in effect in Kalayaan Avenue from N. Garcia to Makati Avenue; and Metropolitan Avenue from South Avenue to N. Garcia. Motorists are advised to expect heavy traffic and take alternate routes and avoid the South Cemetery Area. MAPSA traffic enforcers and barangay deputies will be deployed to assist in traffic management and extend assistance to motorists and the general public. Who’s not familiar with Jigsaw Puzzles? I’m positive that we all know what it is and have played it once in our life. Some people may have the perception that jigsaw puzzles are just for kids while others might still enjoy a good puzzle game once in a while. Jigsaw puzzle is actually an ideal game that is a good mental entertainment and exercise for both children and adults alike. Most of the times, we play jigsaw puzzle to beat the boredom, to kill time, to de-stress or basically just to relax and entertain ourselves, right? Aside from entertainment, solving jigsaw puzzle is also a mental exercise. As we try to put the puzzle pieces together, we are stimulating our brain which is a good thing because just like our body, our brains need exercise too. And just as exercise does well for the body, mental exercise also gives us many benefits such as improved memory and heightened creativity. Solving puzzle games also teaches us to be more patient and focused. I used to own several puzzle boards before and I’ve also got a few for my kids. However, the puzzle tiles wear out easily, especially when played with often or sometimes my kids lose it. But that doesn’t stop us from enjoying a good jigsaw puzzle game because right now we can still play one even without the physical board. Yes, you read it right! 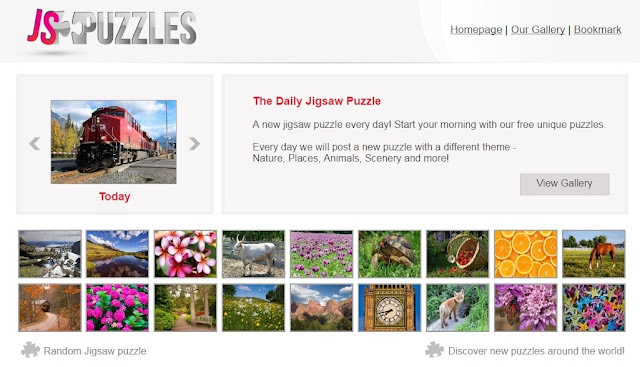 I recently found out about JS Puzzles, an online website that allows you to play jigsaw puzzle online for free. JS Puzzles offer new sets of puzzles everyday under different categories such as Scenery, Animals, Art and a lot more. Jigsaw puzzle lovers will surely rejoice! Playing jigsaw puzzle at JS Puzzles is as easy as pie, you can play as a guest or create an account so you can save, upload your own puzzles. Once you've chosen your puzzle design, you have the option to customize it however you want. You can select how many puzzle pieces, the shapes and if you want it small or large. You can also turn on competitive mode and compete with other players. When the competitive mode is turned on, you can see on the right side of your screen the time to beat and once finished you can see your name on the leaderboard if ever you made it to top 10. You can turn it off if you just want to play for fun. 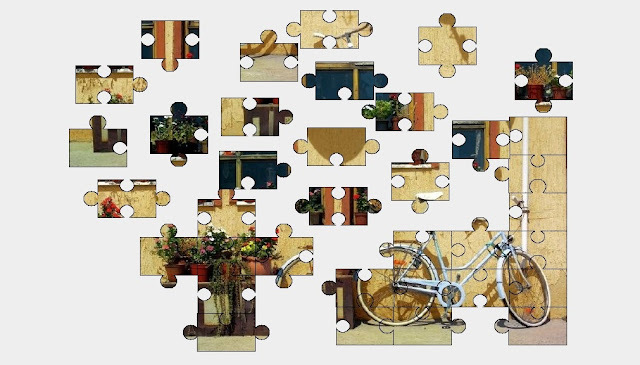 Given the many benefits of playing jigsaw puzzle, it surely is an ideal and worthwhile activity to engage in. Don't have a jigsaw puzzle with you? 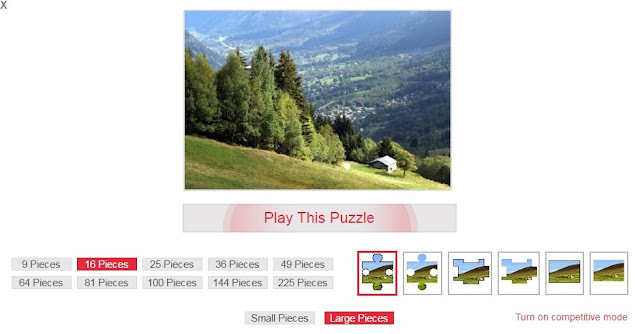 Worry no more, you can entertain and exercise your brain anytime, anywhere with JS Puzzles. We don't have to wait for any occasion to celebrate, because life itself should be celebrated right? 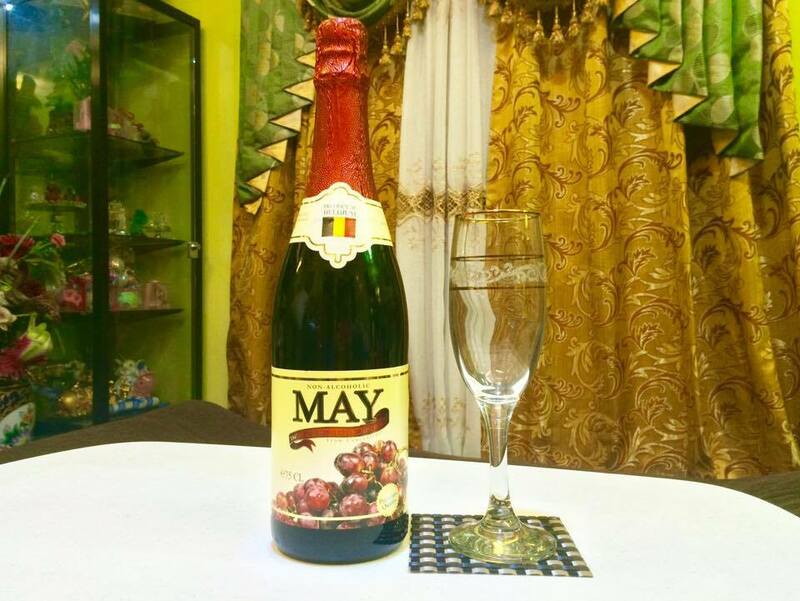 While you're at it, why not celebrate it with May Sparkling Juice, a non-alcoholic drink that you can always pop open to toast to life’s daily success. Learned a new language? Aced your chemistry class this morning? Or your boss complimented your report? Whether it’s a simple event or an occasion that rolls around once a year, make sure to pop the cork of a bottle of this sparkly concoction and get the party started! 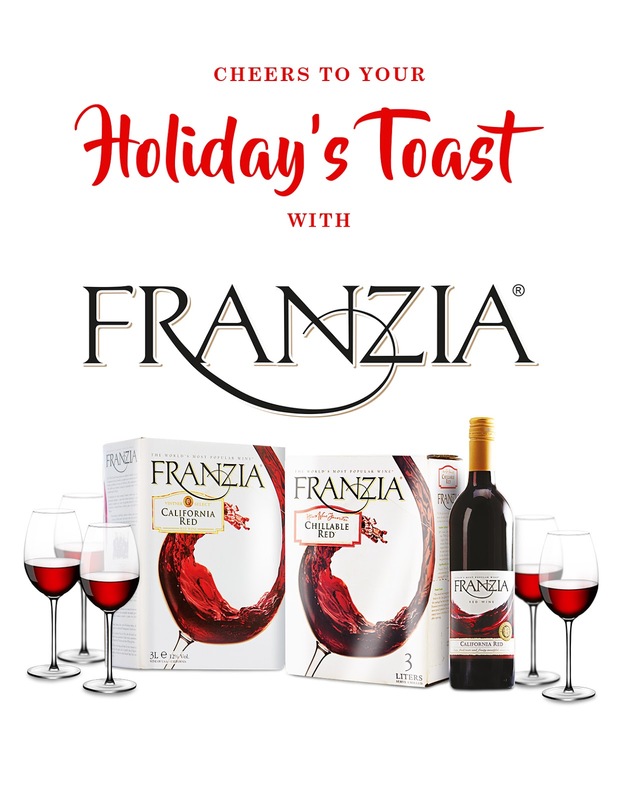 Available in white or red grapes, May Sparkling Juice gives a more inclusive atmosphere that allows everybody to get their fill of this fun and fruity drink. It's a high-quality product of Belgium and made of freshly pressed grapes, this bubbly treat is only 80 calories per serving and provides the fun fizz that instantly boosts any celebration. 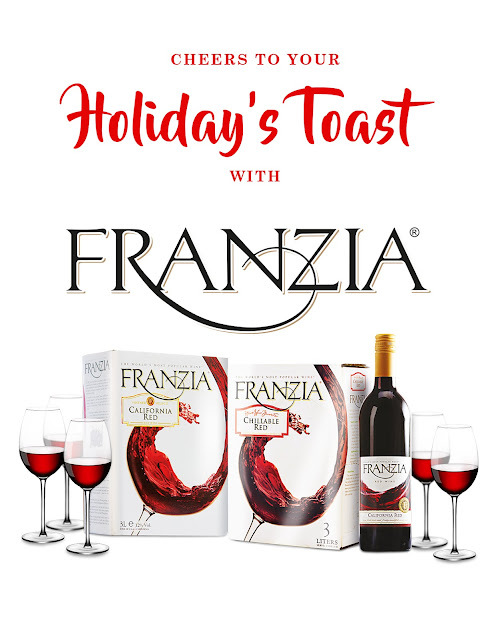 It’s a great blend too with cocktails and mocktails, so you can always add a variety of delicious blends with May Sparkling Juice just in case you’re looking for ways to surprise your guests. Days after my birthday, I received a bottle of May Sparkling Juice together with other Fly Ace Corporation products. No I'm ready to say "Yes To May" as I appreciate and celebrate life, that's one of the many secrets of individuals who are always in a good mood! So don't wait for a big event to celebrate, as each day can be a party. 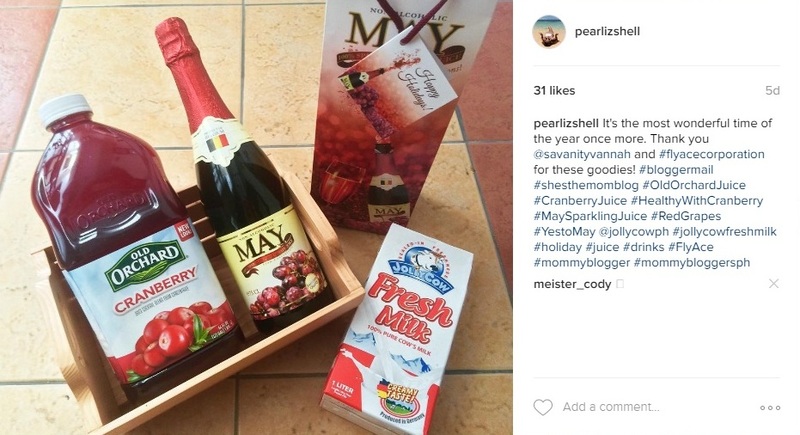 And just because a celebration isn’t really a party without a good drink in hand, make everyday a party with Non-Alcoholic May Sparkling Juice that’s filled with lighthearted cheer! The perfect celebration centerpiece in the spirit of happiness and thanksgiving; don’t miss to say “Yes to May!” as your perfect starting point to signify a party that everyone can truly enjoy! 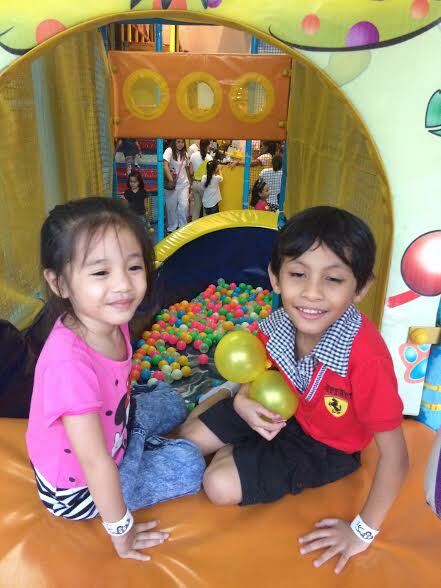 Aside from sharing tips and being able to relate to other mommies out there, one of the many things I love about blogging is that I get to have fun with my kids through mommy and kids related events. And last October 22, 2016, Vita Cubes the healthy jelly candy that we love held it's #VitaCubes2Good Fun Day at Active Fun BGC. 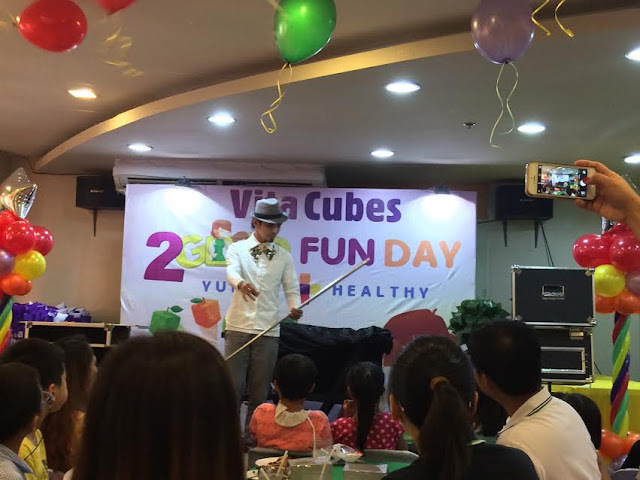 It was an afternoon filled with fun #VitaCubesMoment that Mommy Bloggers such as I enjoyed together with our kids. 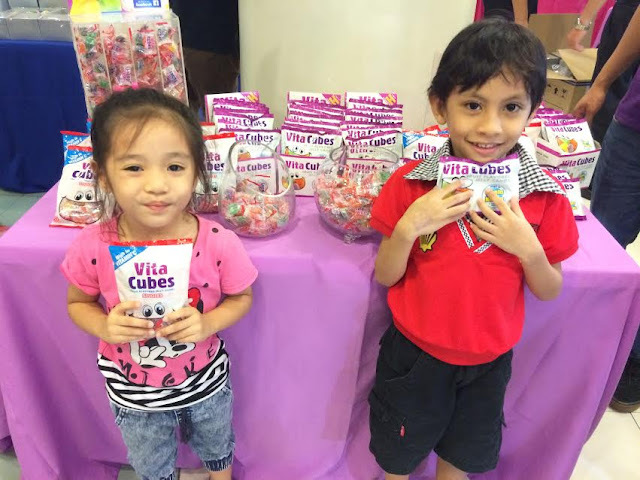 My kids love Vita Cubes jelly and I don't worry at all because aside from it being a delightful treat, it's also good for them because it's fortified with vitamins and minerals. 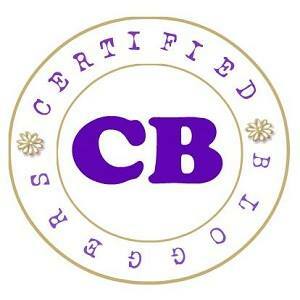 You can find out here the healthy goodness that comes in every pack of Vita Cubes candies. My dates for the #VitaCubes2Good Fun Day was Tristan and Athena, too bad Brianna was sick that time so she stayed in the house with Daddy. Nevertheless, she enjoyed the goodies her Ate and Kuya brought home for her. 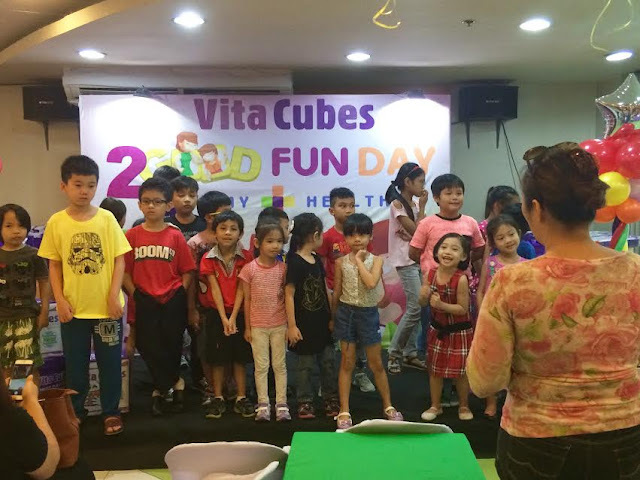 The #VitaCubes2Good Fun Day was jam packed with exciting activities that kids and kids at heart enjoyed. 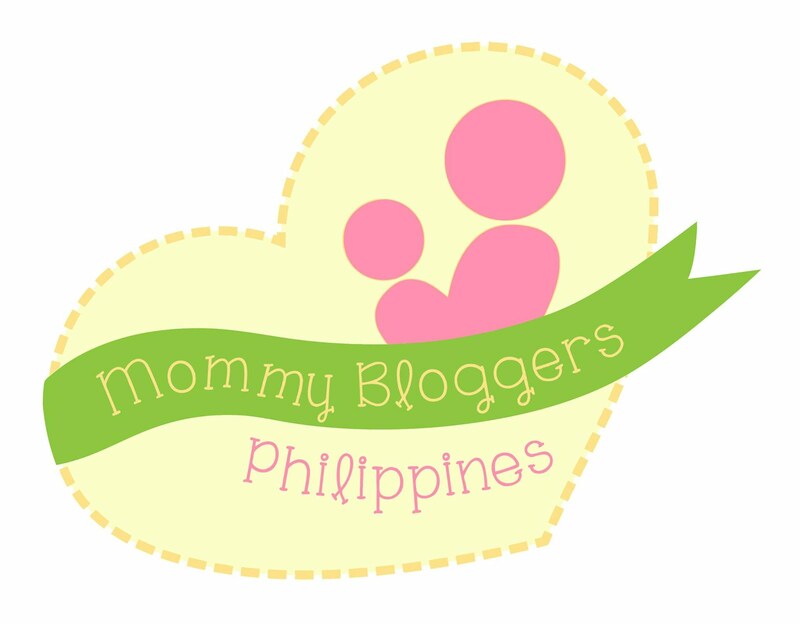 It was a time for the mommies to meet and bond with other mommy bloggers and so with the kids. The event started with a few talks from the Vita Cubes team and some guests then the fun started to unfold. Tristan joined one of the games that afternoon, although he didn't win but at least he tried which is a good thing. 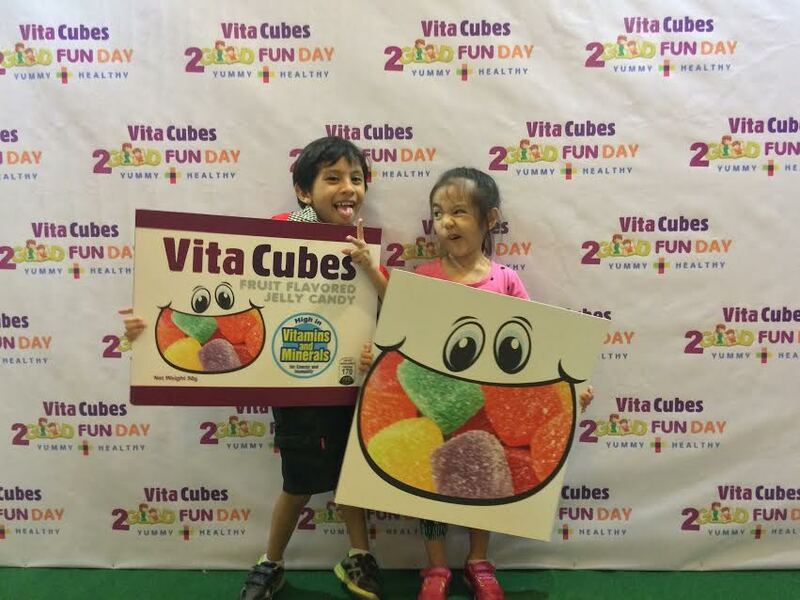 The function hall was filled with colorful balloons and unlimited samples of Vita Cube candies which the kids surely took advantage of. 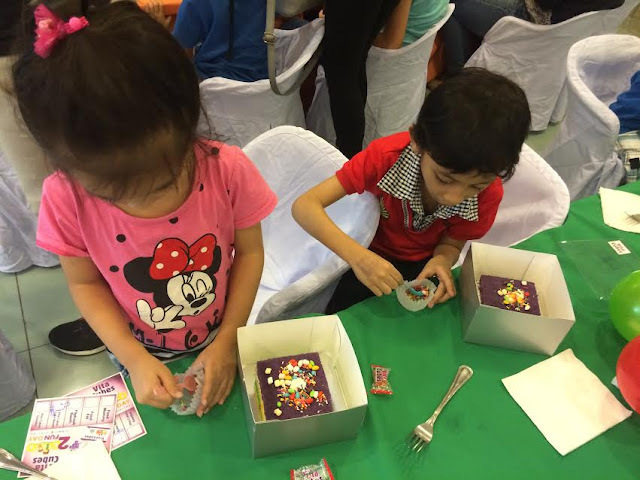 Tristan and Athena enjoyed decorating their own rainbow cakes with mini marshmallows, sprinkles, and vita cube jelly candies then ate it afterwards. A special magic show was prepared for all of us and we were all amazed watching it. I can definitely see the amazement on Athena's eye. Other activities such as the photo booth with a flip book as a souvenir was also available at the event. Then we were all served with sumptuous snacks and drinks. Above all these, we were all given a generous loot bag containing Vita Cube Candies, pillow, and other sweet treats. Each kid was also given one-hour play pass at the active fun playground. It was our first time there and since Athena is just 4 years old, I need to accompany her inside. It was tiring following them up and down, and around the place but there's nothing compared to seeing them having fun, at least I also got to take their photos. 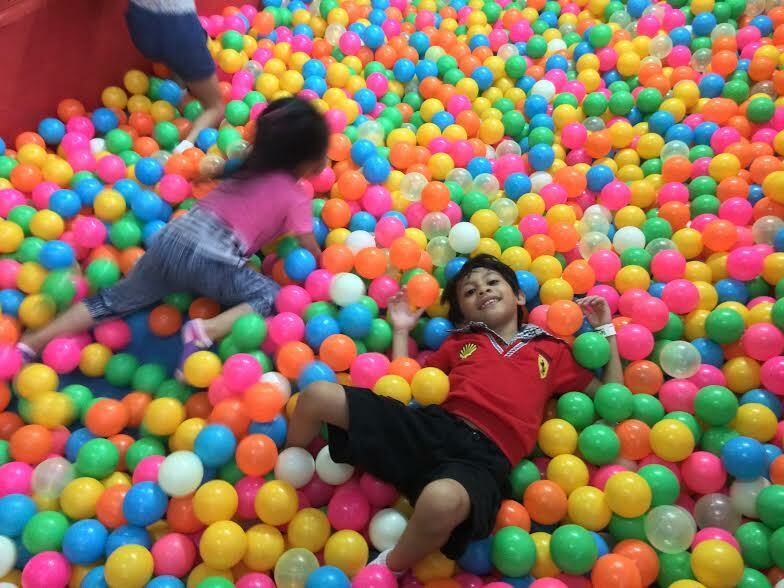 Having fun at the colorful ball pit! I can't believe how brave Athena is, she ain't scared of the big slide and actually did it many times. On the contrary, Tristan was the one who's scared and didn't even tried sliding. 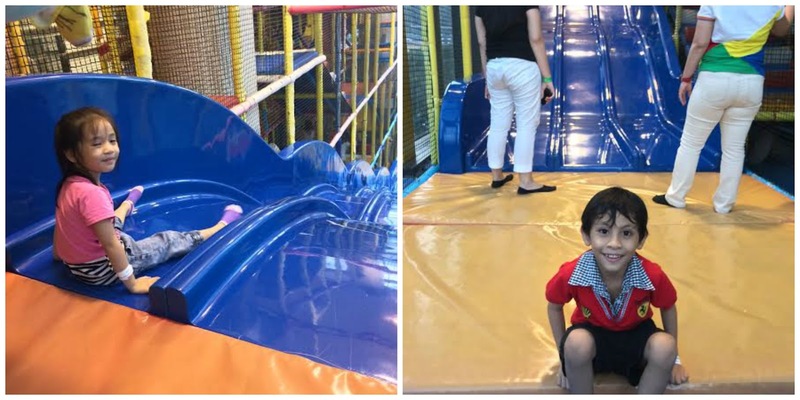 Thank you so much to Vita Cubes and Mommy Bloggers Philippines for organizing this event, Tristan and Athena had a blast. It melts my heart as both of them kept on thanking me for bringing them with me on the event. I do look forward to more fun events like this with my kids. 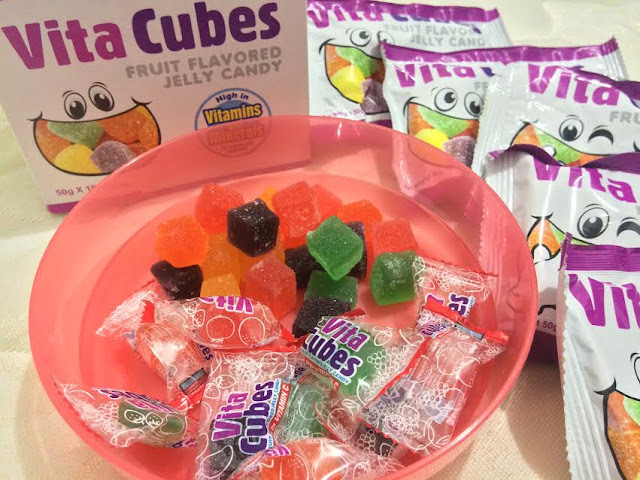 Vita Cubes: Jelly Candy Has Never Been this Healthy! My kids love candies and that's one thing I can't take away from them. So with a guilt feel on the side, I still give them candies. I just constantly remind them that candies are only "sometimes food" because too much candies can cause tooth decay and may not be good for their health. I also remind them to always drink water after munching on this sweet treats. Most of the times they listen to me but kids could sometimes be tricky, next thing you know they could be sneaking out candies from the refrigerator or worst buying candies at the school canteen. How I wished there's a healthy candy. I know a lot of mommies could relate to this. 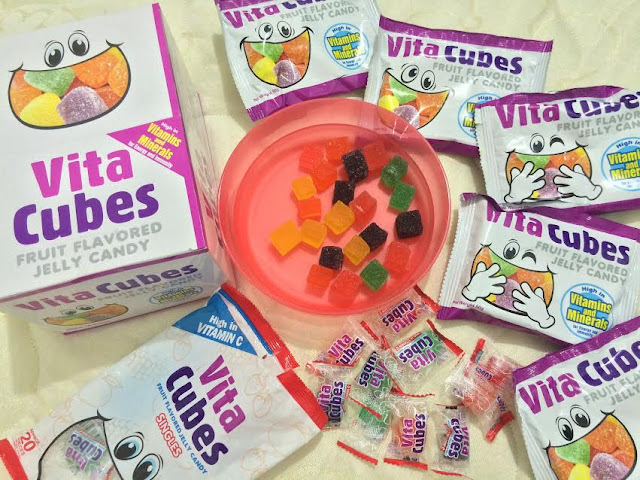 And then here comes Vita Cubes, it was like an answered prayer! 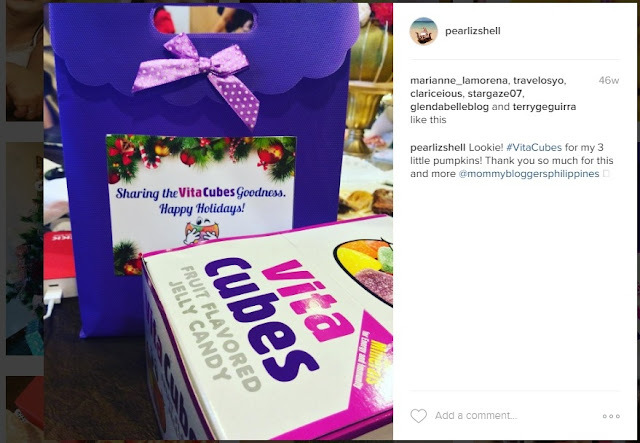 I learned about Vita Cubes for the first time when I attended my first ever Mommy Bloggers Philippines Christmas Party last year and they are one of the sponsors. 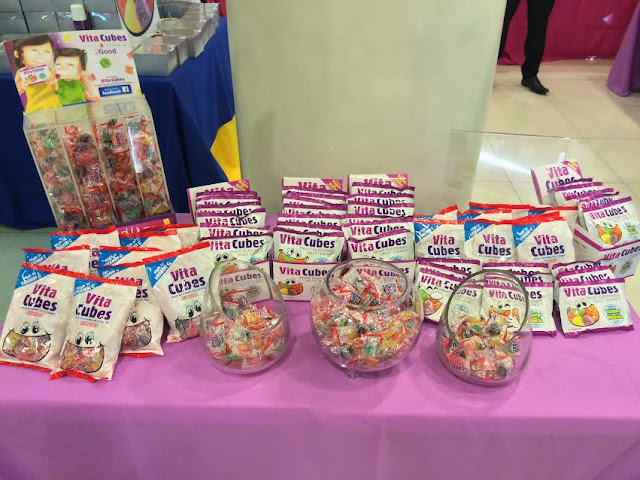 Vita Cubes is a product of Rebisco, a dominant player in the Philippine snack food industry with a growing global presence. It's a cube-shaped jelly candy that comes in five different flavors- strawberry, apple, grape, orange, and mango. Vita cubes is not just any candy, aside from being a delicious treat, it's fortified with essential vitamins and minerals that are important for growing up children. Zinc- Contains 70% of the child's RENI. Zinc is known to help in proper functioning of the immune and digestive systems, energy metabolism, and in increasing the rate of healing for wounds. Vitamin A- Contains 40% of the child's RENI. Helps in increasing the body's immunity to fight infections. Also plays an important role in ensuring healthy eyes and bone development. Vitamin B- Supplies 30-70% of the child's RENI. Promotes growth and strength. Stimulates child's memory in their formative years. Also helps boost the oxygen circulation in the body, especially the brain which in turn will improve concentration. Helps convert carbohydrates and fats into energy. Vitamin C- Supplies 30% of the child's RENI. 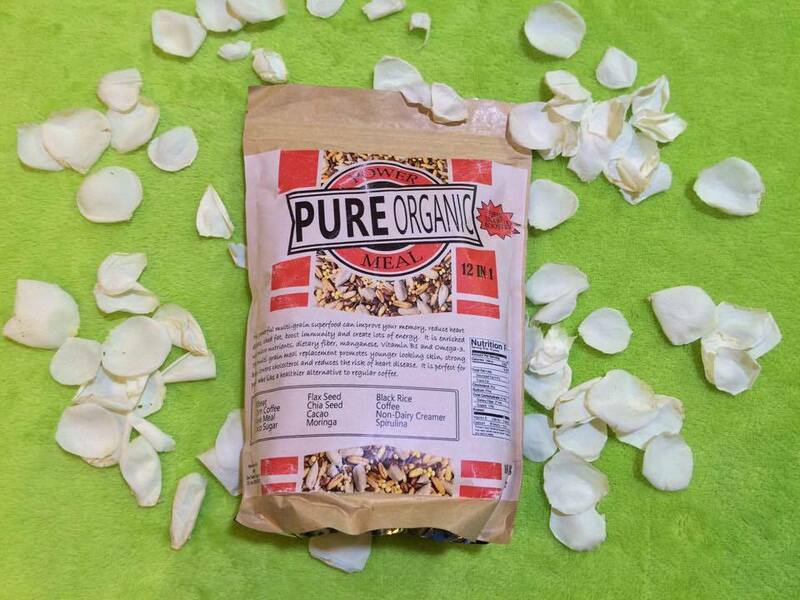 Helps form and repair red blood cells, bones, and tissues. Helps your child's gums stay healthy. Strengthens your child's blood vessels, minimizing bruising from falls and scrapes. Helps cuts and wounds heal, boosts the immune system, and keeps infections at bay. Vitamin E- Supplies 45% of the child's RENI. Boosts the immune system and helps the body fight germs. Keeps blood vessels open wide enough for blood to flow freely. Helps the cells of the body work together to perform many important functions. Now that's one yummy and healthy candy! And, it's an exciting feeling to know that I finally found the perfect treat that will cater to my kids wants and needs. You feel me, mommies, right? 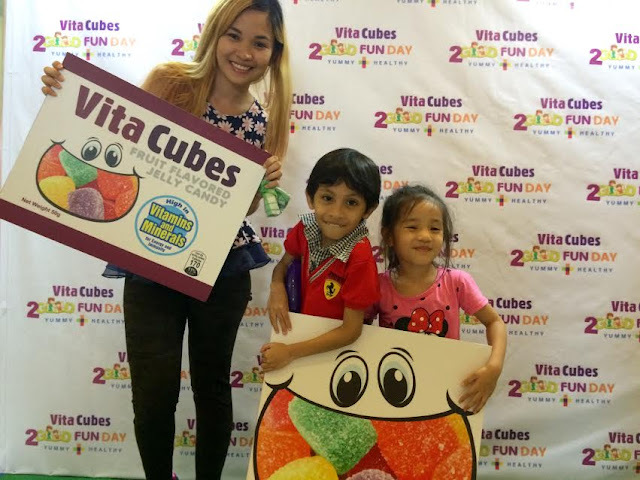 And, last October 22, 2016 Vita Cubes held it's #VitaCubes2Good Fun Day at Active Fun BGC for Mommy Bloggers and their kids. I was one of the invited and I brought Tristan and Athena with me. You can read more about this fun filled #VitaCubesMoment here. Remember the saying, when something's too good to be true it usually is? But not this time! Now you'll never feel guilty about giving your kids candies ever again. Besides it's already Haloween, Vita Cubes is the ideal candies to give out to kids for Trick or treat. So mommies stock up those Vita Cubes at home! 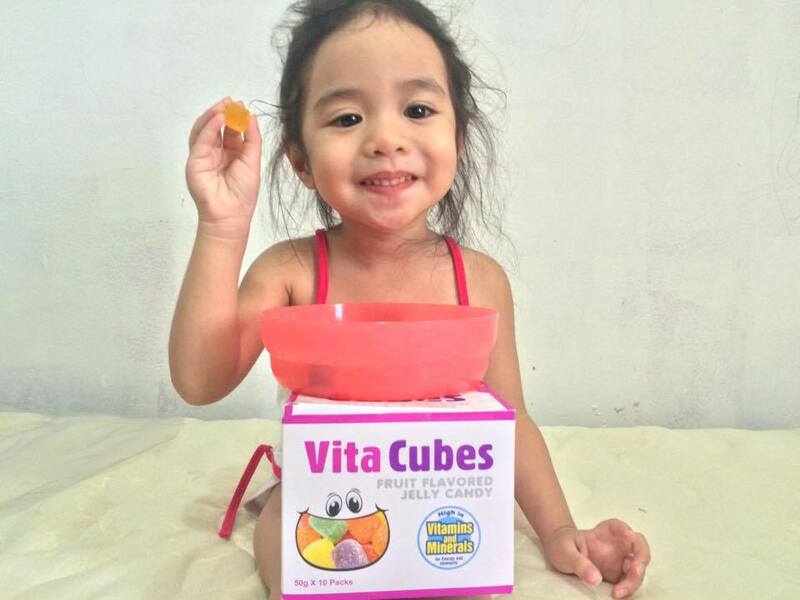 Vita Cubes is available in all Mercury Drug outlets, SM supermarkers, Robinson’s Supermarkes, Waltermart, Landmark, Puregold, and other leading supermarkets and grocery stores nationwide. It is also available in Mini Stop outlets. Vita Cubes may be bought per box (which contains 10 pieces of 50g packs) or per individual 50g packs and the suggested retail price for a 50g pack is at PHP12. It's also available in singles for PHP1 per individually wrapped piece and may also be bought at sari-sari stores. Decent compensation, accessible, conducive working environment, compassionate employers, personal growth are some of the factors people consider when seeking for a job. In reality only a few are lucky enough to have found their dream job, others struggle and are not really happy with where they are while some don’t have a job at all. Sadly, unemployment is rampant here in the Philippines Good thing the IT-BPO prospered and it has opened opportunities to just about every Filipinos from all walks of life. Despite the many stereotypes against the IT-BPO industry, there’s no denying that it is one of the most lucrative and fastest growing industries here in the Philippines. This industry in fact once helped me earn a living for almost 2 years in the past before I settled down, and I can say that it is not a walk in the park in contrary to what others are saying. 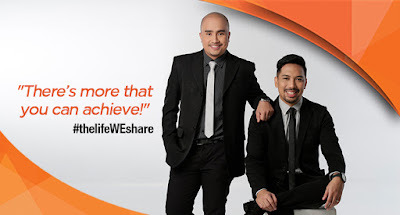 The BPO industry recognizes their employee’s dedication and hard work with incentives, promotions and many other programs that provide personal and career growth; growth; but just like any other job you have to work hard, be persistent and passionate. Last August 12, 2016 7- a prominent IT-BPO company recognized its top performers during their 2016 LMVP awards night. LMVP stands for League of Most Valuable Performers. It’s actually a yearly recognition of their top performers from each department, but for the first time this year they held the awarding outside the company. Awardees from their Makati and Ortigas centers gathered together at the Bay Leaf Pavilion, McKinley Hill for this exclusive event. At first, I thought the LMVP awards was for agents only, but I was wrong, it’s for all employees from agents to management positions who have exceeded expectations and have shown a great deal of dedication and hard work. Perhaps it’s one of the biggest and the grandest awarding event that I was able to witness. That night I was also able to interview two LMVP awardees, Eleazar Basila and Anna S. Agregado. Also, he describes 7 as his second home, it’s the longest company he’s been with and has no plans on leaving anytime soon. Anna on the other hand is a Recruitment Manager and has been with 7 for 10 years already. She joined the company as a Recruitment Specialist and is now one of their team’s Senior Managers. According to her being an LMVP awardee feels absolutely great. “I’ve been with the company for 10 years and i feel that year after year no matter how big the company has grown i don’t feel forgotten by the company. I feel that all the stuff that i work hard for was validated then i was rewarded for it and not just that i get to enjoy it as well seeing my team being rewarded that’s actually one of the greatest feelings in the world as a manager so i feel really honoured to be an awardee.” She added. It was such an inspiring event. There’s nothing like being recognized for your hard work and seeing the smiles from these awardees I can say that they are genuinely happy where they are now. 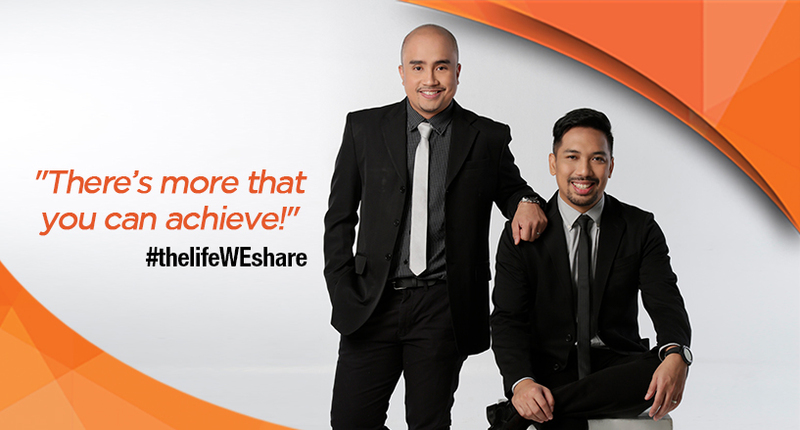 It only proves that with 7 work-life balance is indeed possible. So if you are looking for job opportunities while having fun and learning, the BPO industry such as 7 is worth checking out because it’s the most ideal place for you. The comeback of the Fender American Vintage '65 Stratocaster is an authentic recreation of the classic model. It's made with a lightweight alder body and has a new Fender Flash Coat Lacquer body finish. It comes with a rounded C-shaped neck profile and a round-laminated rosewood fingerboard. It also has a vintage accurate pickups wound to period-correct specs and sound, has a three-ply white pickguard with 11 holes. Accessories are also included with every purchase such as the Vintage '65 Strat Strap, Cable, and Cloth; Vintage 3-Position Switch, '60s Strat Information Kit, Owner's Manual, Saddle Height Wrench and it also come with a New Deluxe Vintage Black Case. So order your American Stratocaster now with the no-risk assurance of Total Satisfaction and Low Price Guarantees! One of the biggest decisions, students will make in their lives is choosing where to go after high school. For parents, even taking the job of guiding their children tends to become a daunting task. With so many possibilities and choices in today’s ever more globalized world, it’s easy for anyone to be overwhelmed when considering all the options available to them. It has long been conventional wisdom that a good college education will lead to a good career and a good life. However, nowadays, the demands of the markets are constantly evolving, and relying on old advice for a brave new world may not always produce the best results. 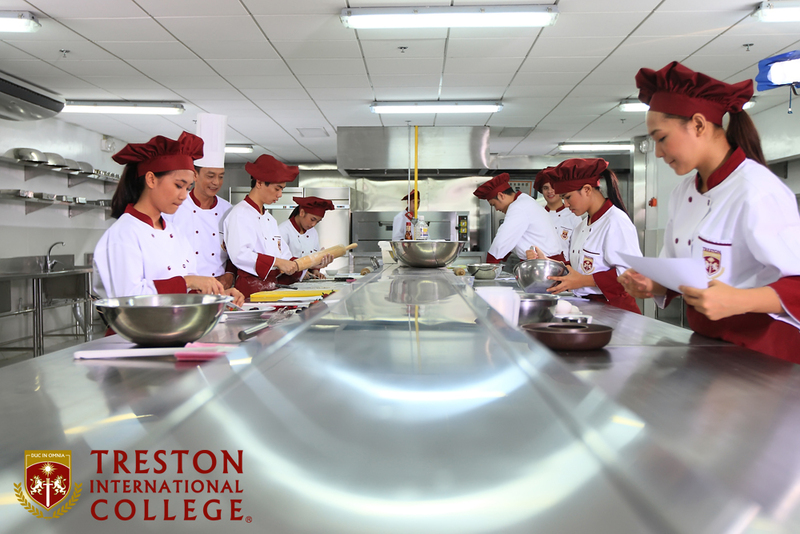 Consequently, education has also been adapting to catch up to the needs of the globalized economy. Choosing a course for tertiary education happens at a young age for students, so it’s very common for them to have a change of heart in the middle of it. Of course, changing directions at any point is never the end of the world, but you can minimize risks by being well-informed, and having a clear plan from the very beginning. Finances are the one thing most people want to avoid talking about but are very serious issue to consider. Tertiary education takes several years to complete, and plans made without calculated financial roadmaps can easily be derailed. This also makes a change of heart in the middle of a course very costly and risky. However, you can expand your limits by considering the many scholarships and financial assistance options now made available to many. These options may even extend to allow a student to study abroad. With so many factors coming into play, it’s easy to see why so many students and parents might not be able to make an optimal decision. Often, they resort to sticking with “what they know,” for schools and courses - even if it is a bad fit for the students’ goals or personalities. By expanding your knowledge of potential options, you allow yourself to make well-informed choices. A good start with the right choices can set a student up for success in life. 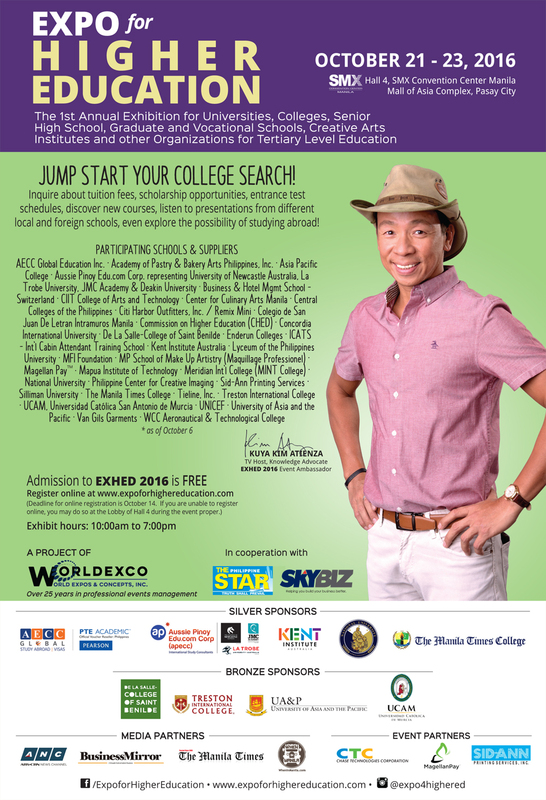 Check out the video of the expo with Kuya Kim Atienza. You may click on the link below. 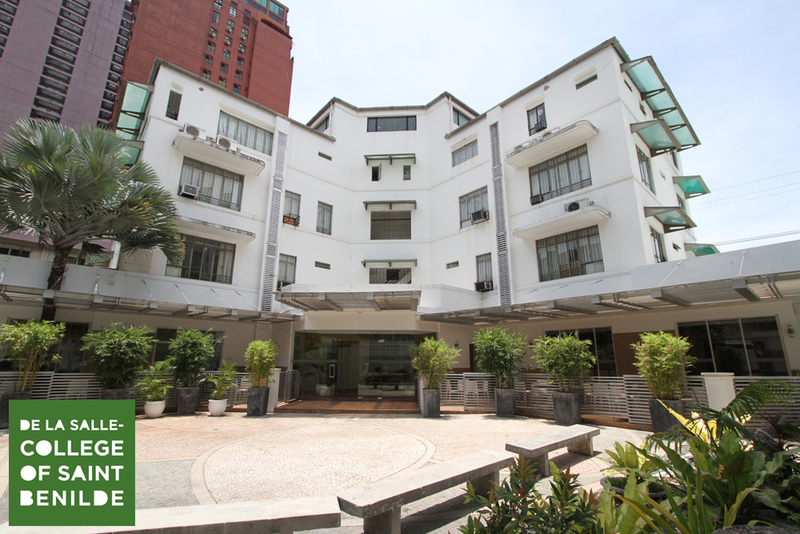 “For many years, MILO has been at the forefront in building champions who best embody the winning energy of our brand. We are very grateful to everyone who continues to support our mission of empowering children to achieve an active and healthy lifestyle,” says Ellen Isturis, Consumer Marketing Lead for MILO Philippines. “The MILO Champanalo Miyon-Milyon Raffle Promo is our way of thanking our young and grown-up champions and allowing them to also build champions through public schools as beneficiaries.” Ellen added. MILO’s grand giveaway is open to all Filipino residents 18 years old and above. To join, participants must purchase the participating brands: MILO Tonic Food Drink or MILO NUTRI UP 3 in 1 Chocolate Malt Drink for Adults or MILO Ready-To- Drink Tonic Food Drink. (See the complete required packs at www.milo.com.ph/Champanalo). Then, on a clean sheet of paper, participants must write their whole name, age, address, contact number, and the public school of their choice. Participants can choose the school from the Master List of Public Schools found in the official website of the Department of Education (www.deped.gov.ph). 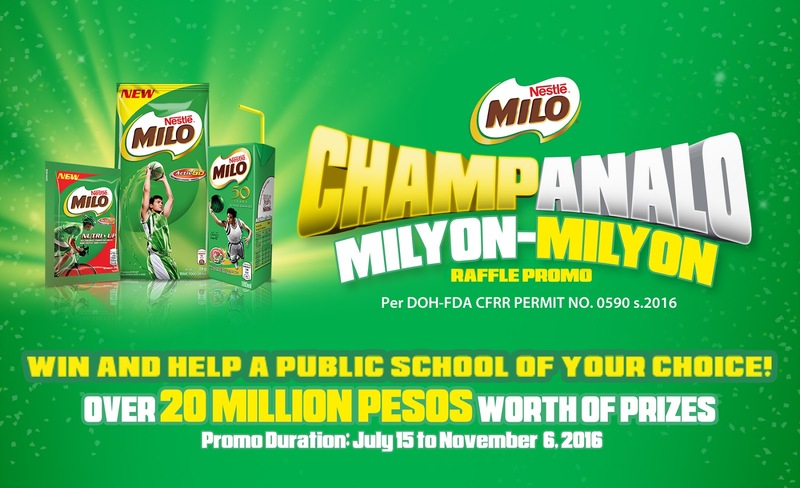 Join the MILO Champanalo Milyon-Milyon Raffle Promo now and help build a nation of champions! Brazil’s fun, chic and colorful brand of sandals and flip flops- Ipanema, has opened its latest outlet at SM City in Sta. Rosa, Laguna as part of its expansionary thrust in time for the holidays. The new store is one of the new outlets that the company is eyeing to open this year in time for the holiday season. With the opening of this latest branch, residents within the area can conveniently shop for the latest Ipanema footwear, especially for gift giving this Christmas. The new store carries the latest Ipanema styles and collections, each one inspired by the spectacular coastal neighborhood of Ipanema in Rio de Janeiro, Brazil. “This new store which carries Ipanema sandals exclusively, boasts of a wider selection of the latest footwear from this iconic Brazilian brand.” she added. 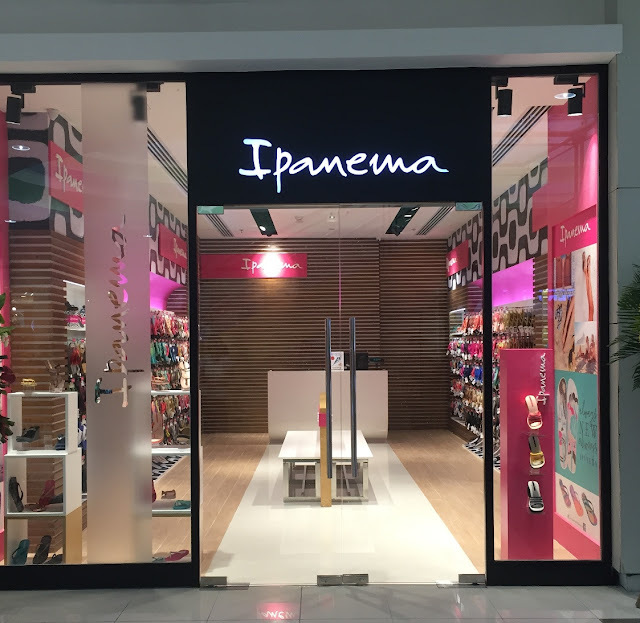 The new Ipanema store is located at Level 1, SM City Sta Rosa. 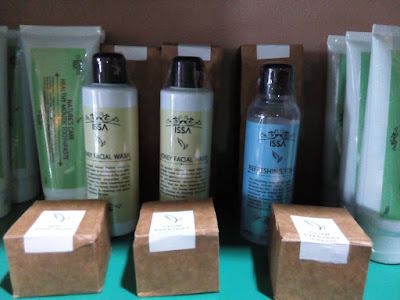 Ipanema stores are also located at SM City Lucena, Clark-Angeles, North Edsa, Bacolod, Pampanga, Cauayan-Isabela, Gensan, Iloilo, Roasales and Cabanatuan; as well as at SM Lanang Premier in Davao, SM Seaside Cebu, Ayala Centrio Cagayan de Oro, Ayala Abreeza Davao and Robinsons Place Antipolo. 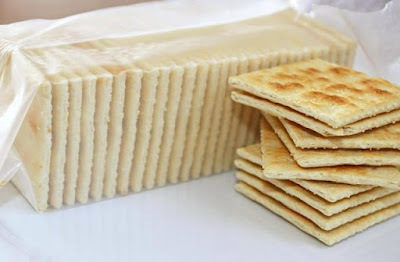 Also called a “soda cracker”, saltines are crispy, dry, and sprinkled with some salt. This type has a variety of uses, making it perfect with your favorite dip and with the soup you need to warm your day. This simple yet delightful snack is the best pair for almost anything, balancing the flavors incredibly. Although some may feel it is a little bland on its own, saltines still serve as the yin to the very flavorful yang. If you are into biscuits that feel light when bitten and melt in your mouth with a few munches, get yourself a pack of these babies immediately. Ladyfingers are delectable, egg-based snacks, usually serving as the main ingredient of just as mouthwatering desserts such as tiramisu and charlottes. These do pretty well as a stand-alone snack too, and can even be fed to teething infants. 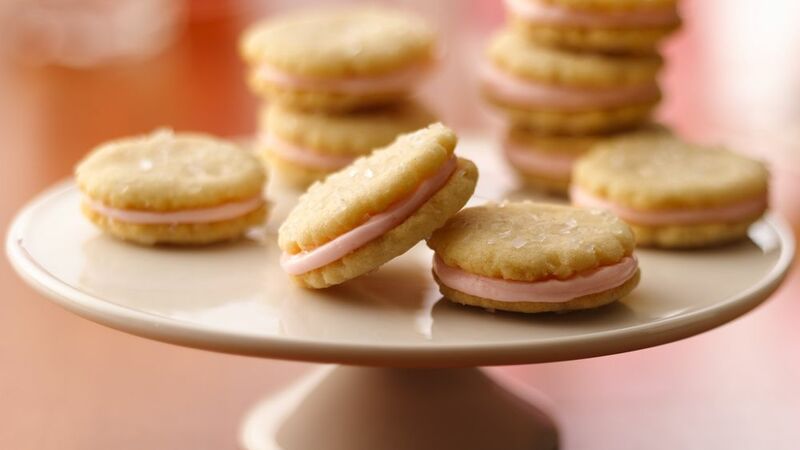 Being one of the most popular types among school kids, sandwich cookies have found itself in the lunch bags of kids everywhere. The cream filling is sandwiched between two delicious cookies, satisfying both the taste buds and the hunger of anyone who would finish it. 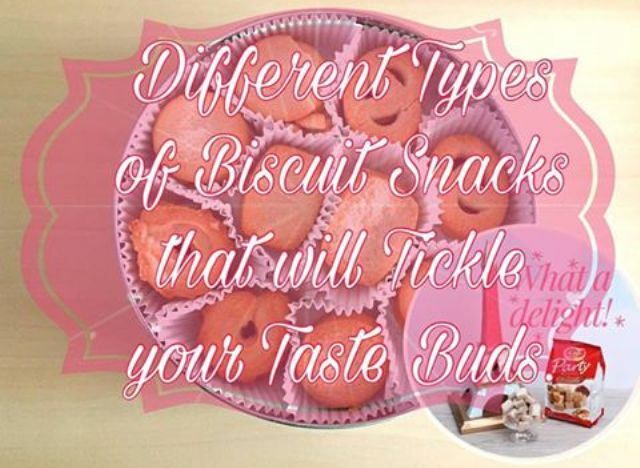 Depending on your taste, there are many varieties of this kind that you can choose from, all with very unique cookies and filling. 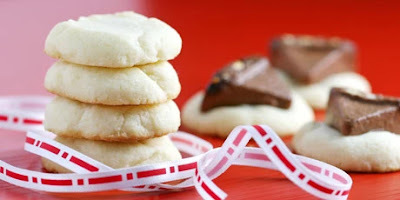 Experience that Christmas-y vibe with every bite of a shortbread cookie. Traditionally prepared from a particular ratio of sugar, butter, and flour, it has a white or light brown color. Today, shortbread cookies come in different tasty flavors such as chocolate chip and pecan. 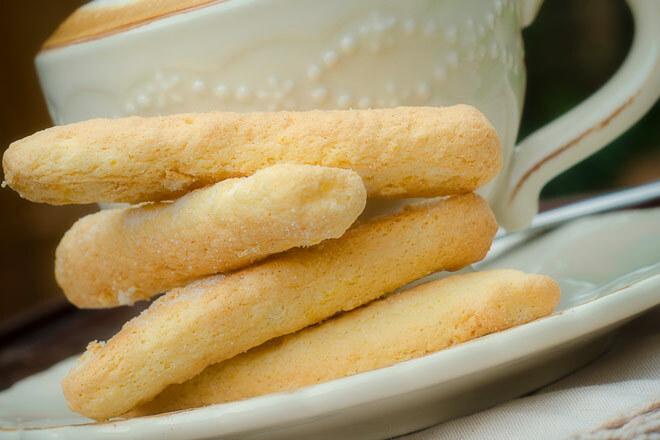 Indulge in this scrumptious treat, a perfect biscuit snack for people on the go. A wafer pertains to a dry biscuit used to top your ice cream. But it can be made into a cookie by sandwiching a creamy filling, usually chocolate, between two crispy and sweet wafers. Some have taken it to the next level and marketed a wafer covered with chocolate, perfect for people who have a sweet tooth! Wafer rolls, also known as barquillos, are simply the cylindrically rolled brother of wafers. 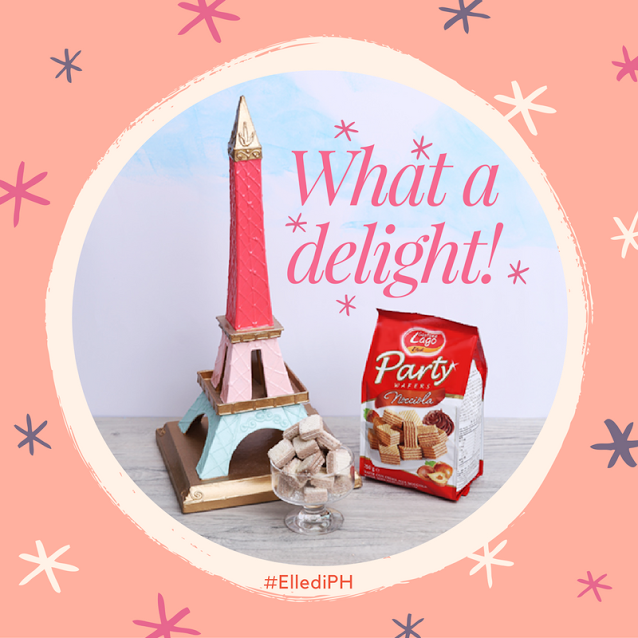 One of the best wafer brands in the world, Gastone Lago Elledi, a leading Italian confectionery company is now available in the Philippines. Elledi specializes in the production of wafers and shortbread cookies. 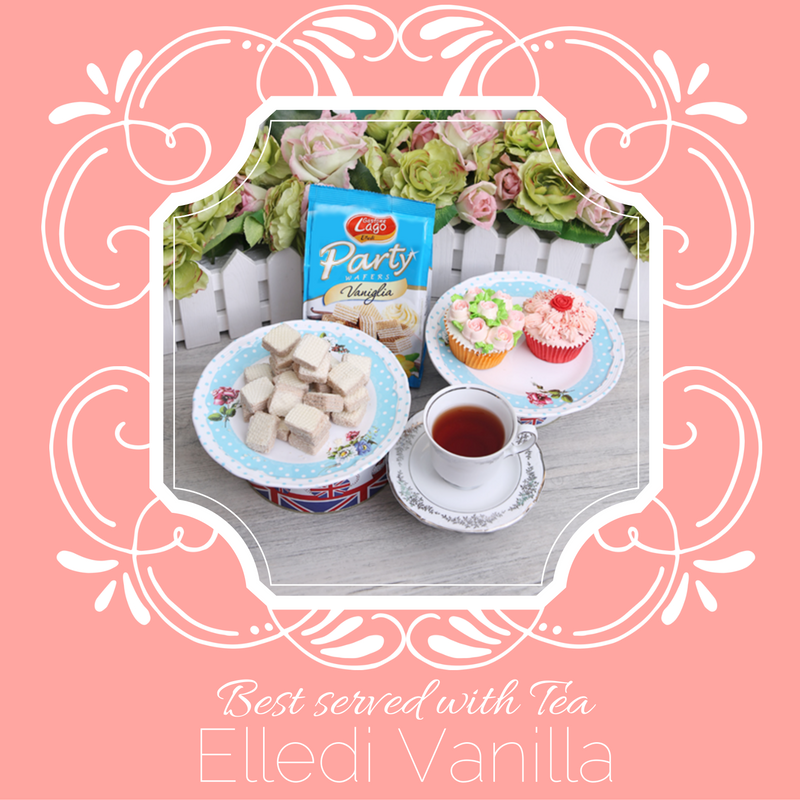 For more of that sweet and creamy goodness, glimpse into the world of Elledi wafers at their Instagram page. The world’s most beloved ice cream brand- Baskin-Robbins, spreads more happiness as it opened its 14th branch at B8, Bonifacio High Street, Taguig, delighting ice cream lovers around the metro. 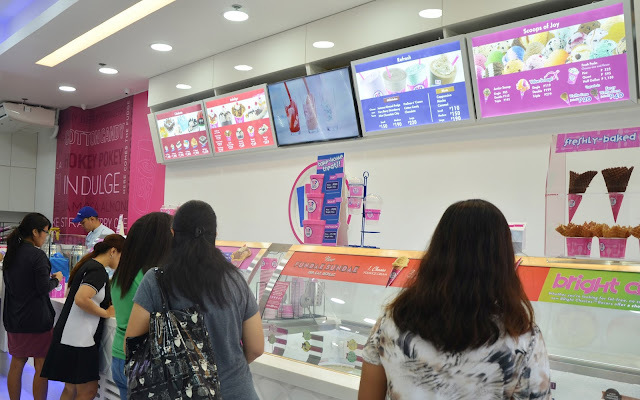 The newest branch of the world's largest chain of ice cream specialty shops features premium hard scoop ice cream, customized ice cream cakes and a full range of frozen beverages which will now be easily accessible to shoppers and residents within Bonifacio High Street and nearby areas in BGC. 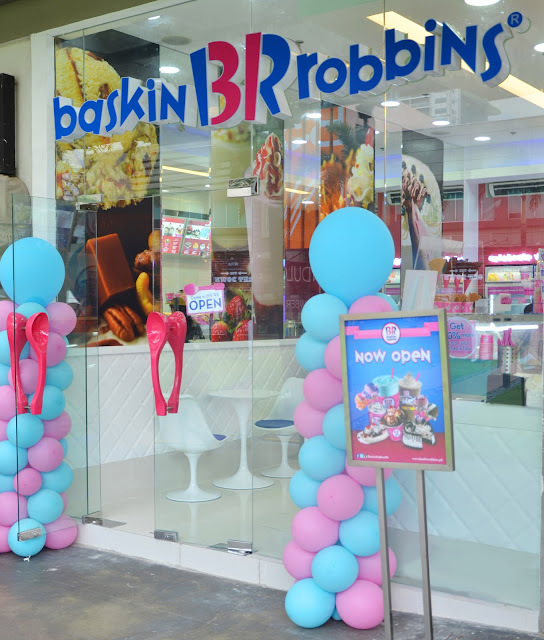 Baskin-Robbins lined up a series of delicious treats for its guests and customers to make the store opening more fun and memorable. Including a special one time offer of their awesome range of ice cream flavors for just P31 all day on October 1. Apart from the sweet treats, guests enjoyed many freebies and various activities including a lively performance by the UP Dance Company, a friendly meet-and-greet with the Baskin-Robbins mascot, photo printing, face painting, a special booth called ‘Waffle Wonderland’ where guests could customize their waffles in various shapes and colors and ‘Fundae Sundae’ a booth designed for pure indulgence. 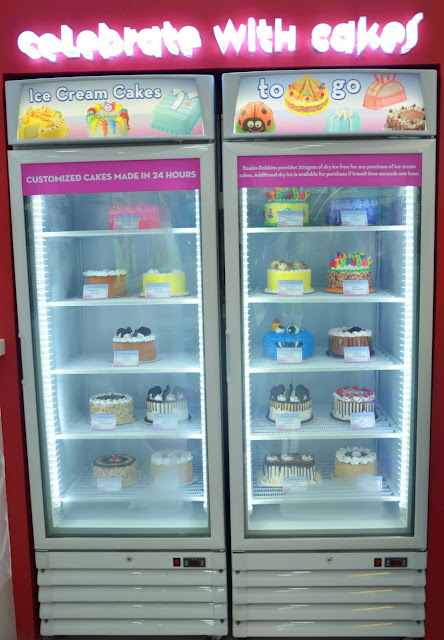 The brand’s delicious and mouth-watering ice cream cakes also attract dessert enthusiasts worldwide. 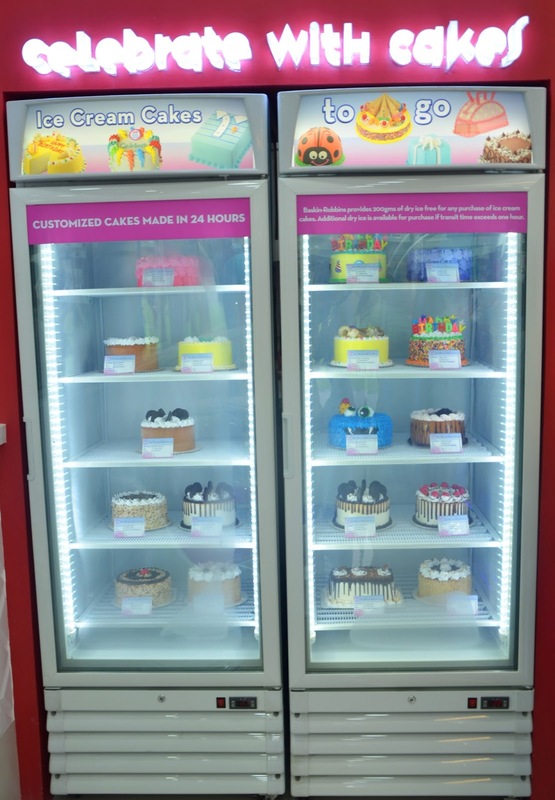 Each delectable cake is made up of one’s choice of Baskin-Robbins ice cream flavors. Available in a wide variety of designs and sizes, they are perfect to celebrate any occasion -- birthdays, anniversaries, holidays, weddings, graduations or just to satisfy ice cream cravings! 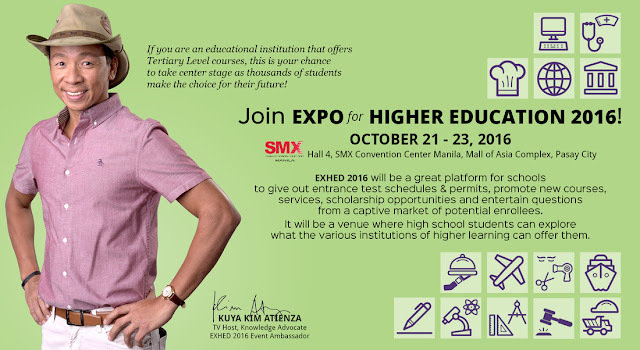 (Manila, Philippines) The First Expo for Higher Education or ExHEd is set to launch this October and will serve as venue for students who wish to explore their options for tertiary level education. 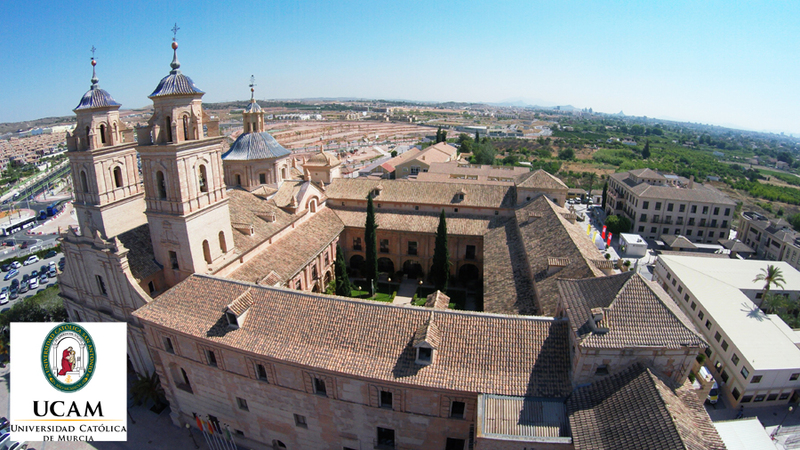 “We want to make it easier for students and their parents to collect information about different institutions for higher learning without them having to visit each and every campus which can be time-consuming and expensive” says Raquel Romero, President and General Manager of World Expos and Concepts. “This expo will serve as a gateway for them to gain more knowledge on the various opportunities that are available to students as the Philippines goes through the K to12 program", she added. Health and Glamour, who wouldn't want to have the best of both worlds right? I know I do! 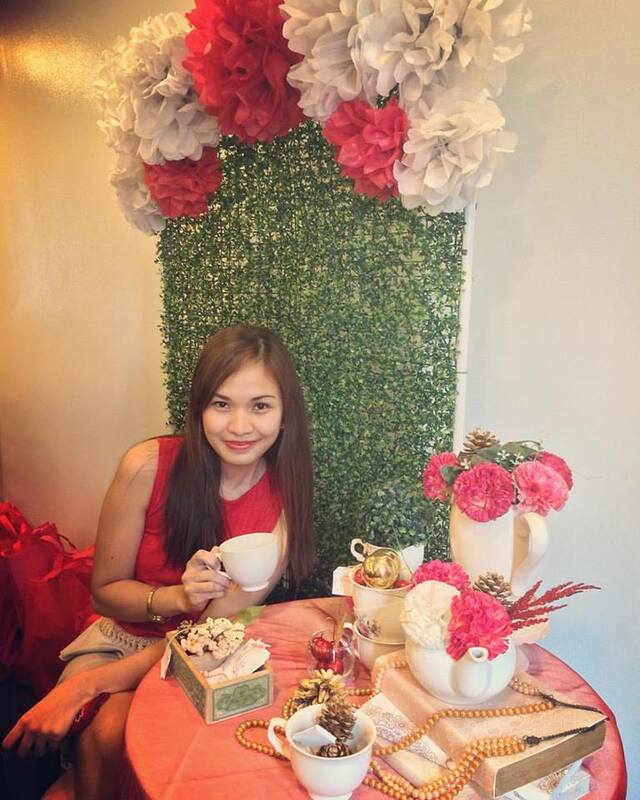 I want to be healthy not just for myself but for my family, and I want to be as glamorous as I can get. That is why I do all possible things I can to take extra care of myself. Good thing these days almost anything is within our reach, there are lots of products that we've grown to love and trust for our body. It actually amazes me to know that as time passes by things just keeps on getting better! And, through blogging, I get to the opportunity to learn new things, meet different people and try out things that are new to me. 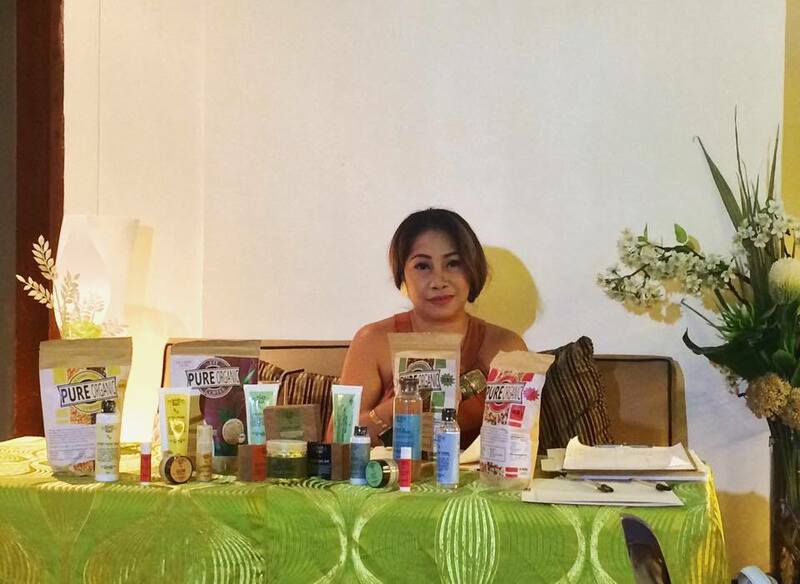 Health and Glamour President, Mirasol Rader during the press conference and product launch. Just a few weeks ago, I got invited to an exclusive press conference and product launching of Health and Glamour Outsource Marketing Corporation (H&G). The name itself sounds interesting and so are their products. So let's go ahead and get to know more about them. 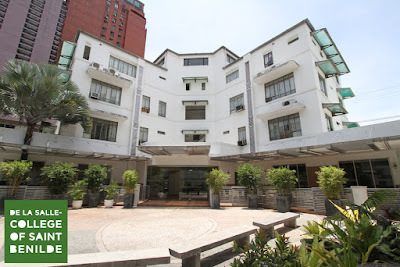 Health and Glamour Outsource Marketing Corporation (H&G) was founded in 2016 by pro-environment advocates to actively participate in the campaign to promote health and wellness of our body and saving Mother Earth as well! With the daily increasing cases of various illnesses and diseases brought about by our daily use of highly commercialised products, H&G provides consumers with a better option to enjoy organic, natural products that protect one’s health and the world. H&G also ensures products affordability so consumers will have a powerful choice of shifting into organic, natural products with the same budget on the usual commercial products being consumed. This powerful choice enables us to contribute to a safer and healthier environment. During the launch, they also gave us - media guests some products to try, and I'll start off discussing about them. Leaves a pleasant fresh breath in your mouth. 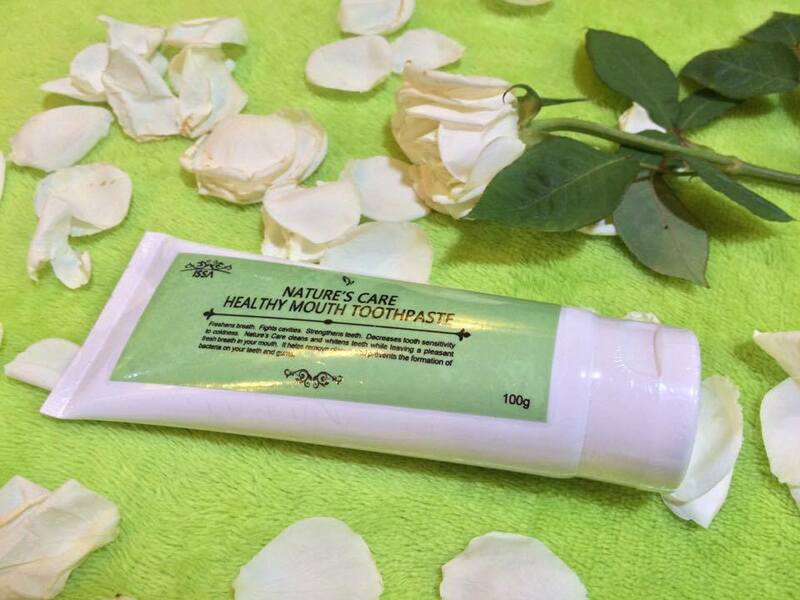 Prevents the formation of bacteria on your teeth and gums. Instantly lightens your skin and transforms tight patches into soft, supple, hydrated skin. It is an ideal treatment for parched skin. Contains AHA (Alpha Hydroxy Acid), milk and citrus acids that helps lighten your skin. 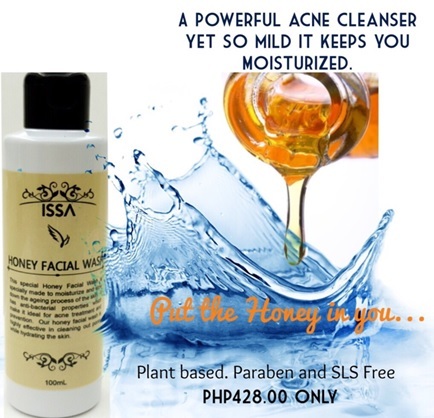 It has anti-aging and anti-bacterial formulation that prevents the development of acne, warts and skin disorders. Contains activated carbon which helps draw out impurities and toxins from the skin. 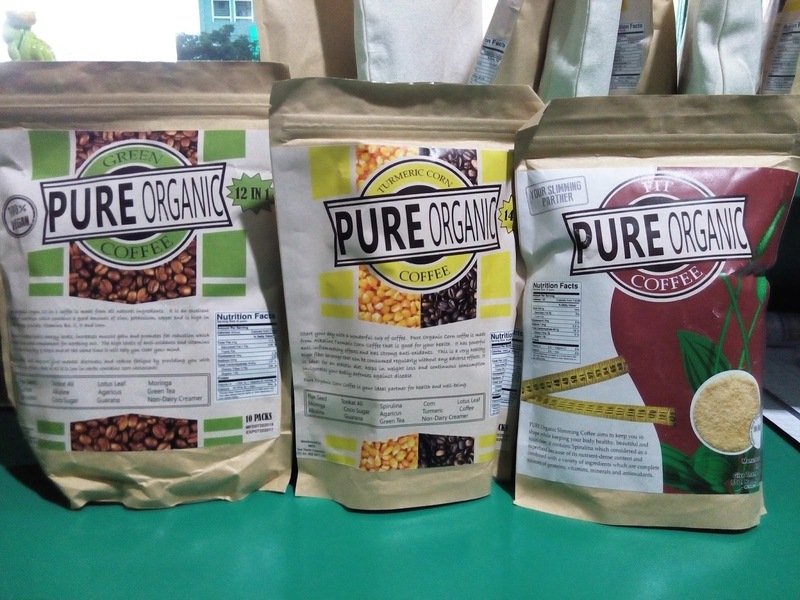 Pure Organic Slimming Coffee aims to keep you in shape while keeping your body healthy, beautiful and toxin-free. Psyllium Husk Fiber, Green Tea Extract, Guarana Extract that aid in weight loss. Spirulina which is considered as a `superfood’ because of its nutrients-dense contents. It provides your daily dose of nutrients. 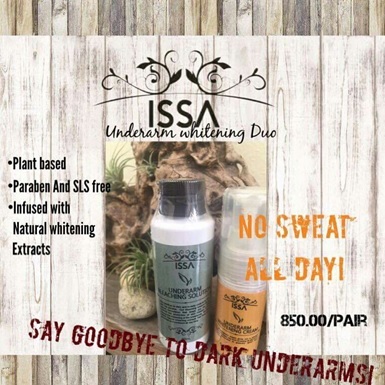 Say goodbye to dark and sweaty underarms with just two solutions! 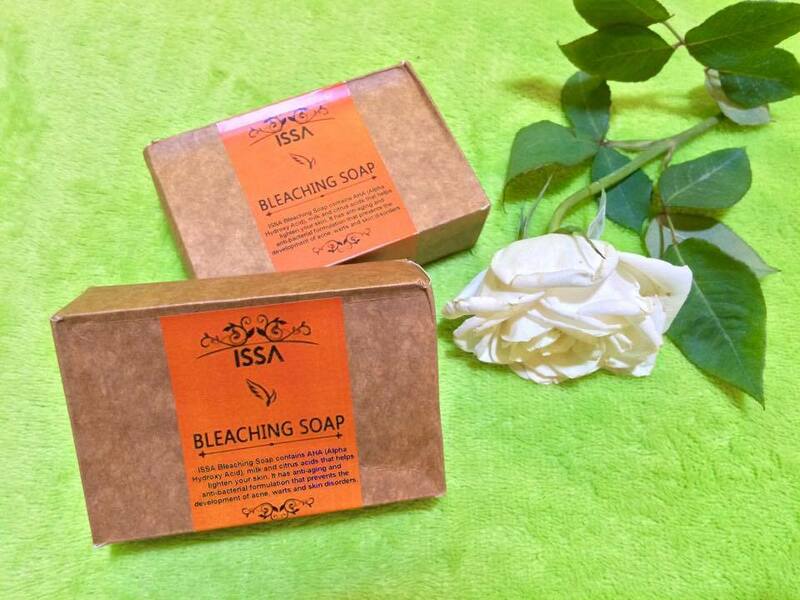 This bleaching solution has a special formulation that keeps you dry and controls the production of skin melanin which causes the darkening of the underarms. Natural whitening extracts are also added to keep you protected and confident all day! 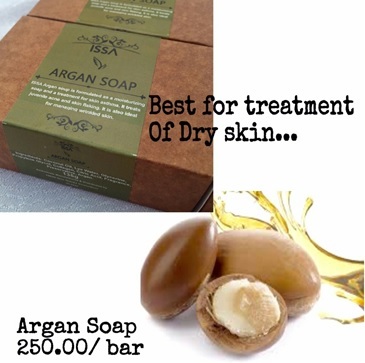 Argan soap is formulated as a moisturizing soap and a treatment for skin asthma. 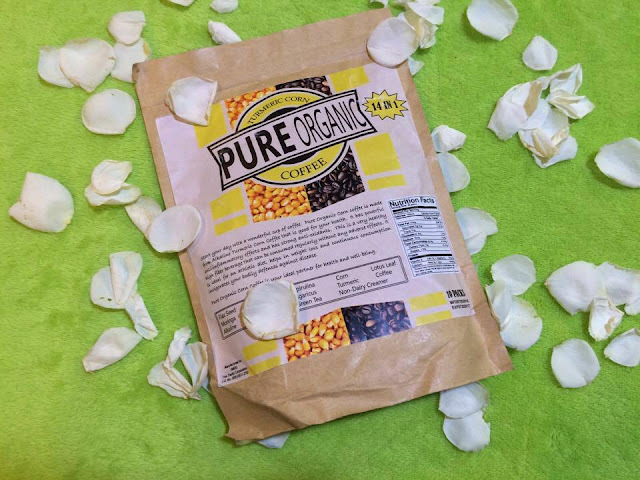 It treats juvenile acne and skin flaking. It is also ideal for managing wrinkled skin. 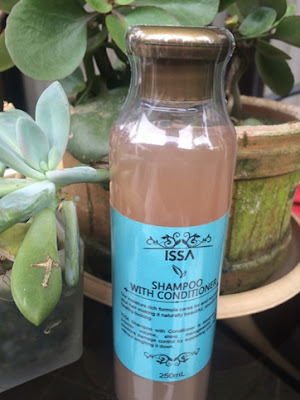 This moisture rich formula cares for and nourishes your hair making it naturally beautiful, smooth and healthy-looking. ACHIEVE BEAUTIFUL, YOUNG LOOKING SKIN IN JUST 3 STEPS! 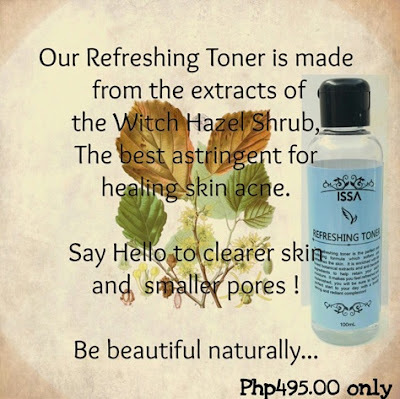 Regular cleansing hydrates the skin and assists in recovery from various skin ailments. Regular cleansing keeps pores clean and reduces the chances of breakouts or a dull complexion. 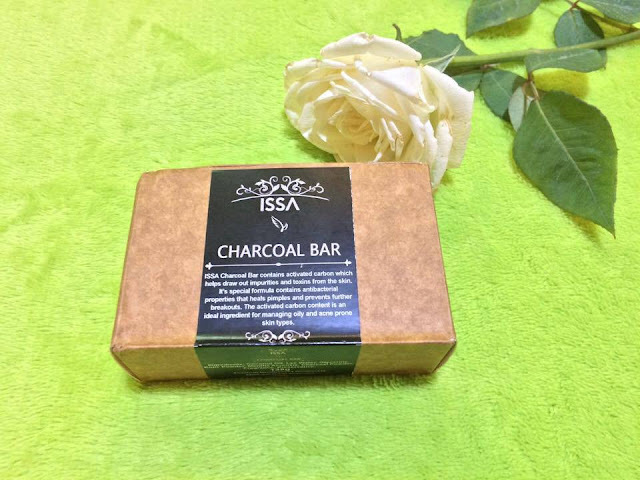 Enriched with the finest botanical extracts and anti-bacterial ingredients to help retain your skin’s moisture. It makes you feel refreshed and replenished. 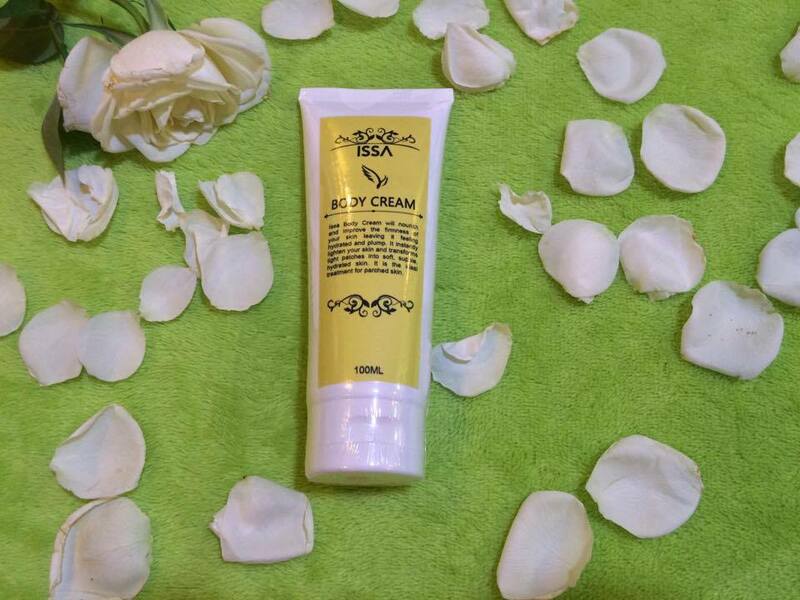 Moisturizes and reduces aging of the skin. Keeps the skin looking radiant. 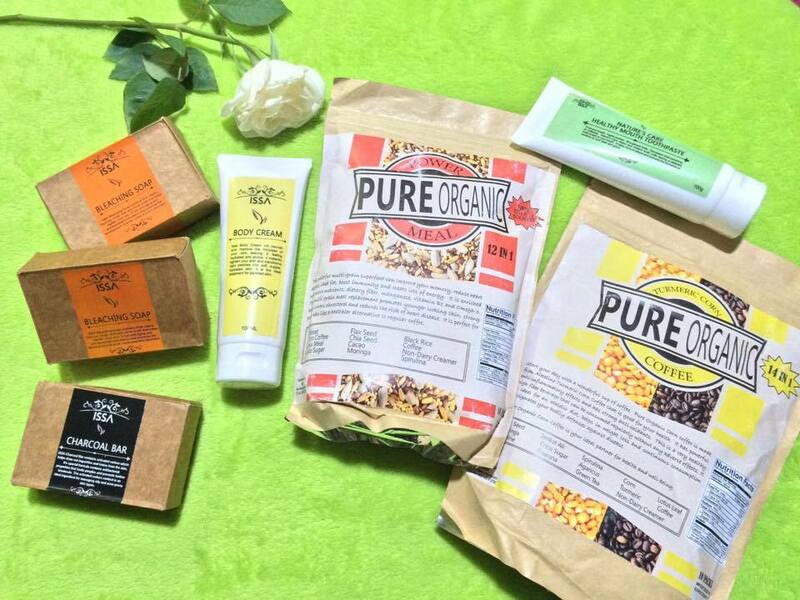 Since Health and Glamour's products are organic and natural, all their raw materials are locally sourced. 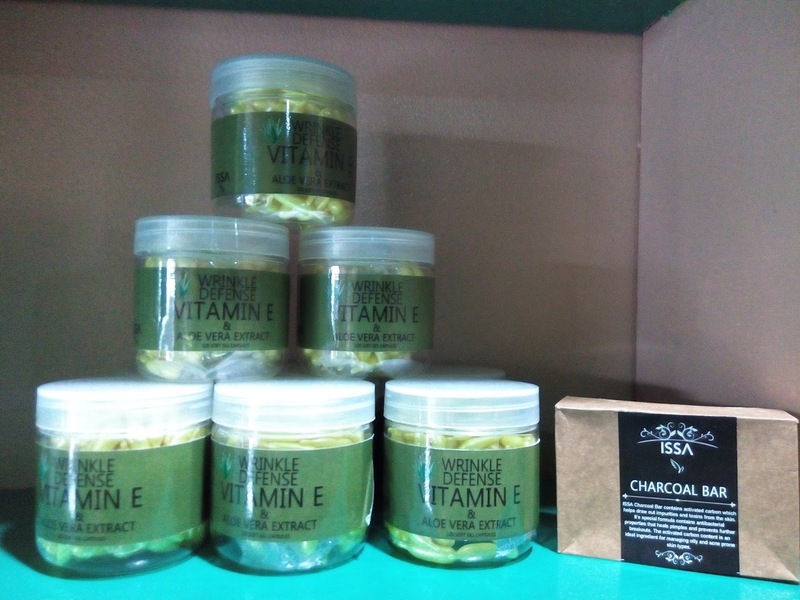 They are originally Davao-based and for the manpower, they have helped several people already by employing them in the manufacturing. As of now, their products are available via direct selling and they are targeting to sell their products online like Lazada and other online stores and hopefully in the future they will be available in leading department stores nationwide.